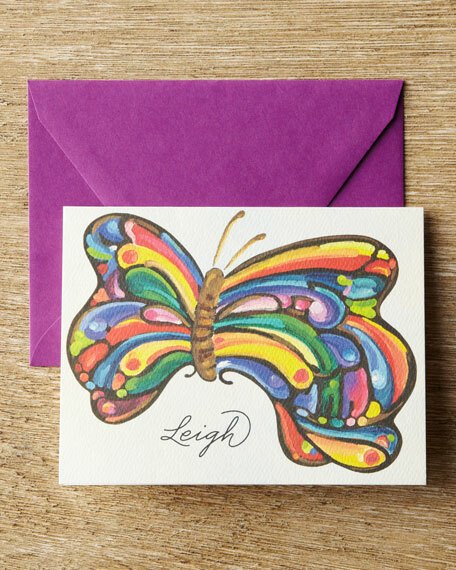 A brilliant, hand-drawn butterfly illustration floats gently across these luxurious folded notes. Made of cotton textured 80-lb. cover-weight paper. Personalization is one line (up to 18 characters/spaces) in color and typestyle shown. Set includes 25 folded notes and 25 envelopes.